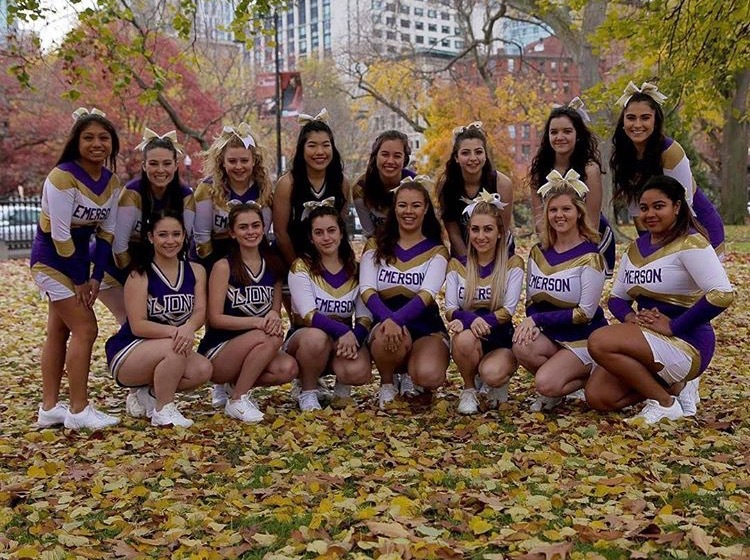 Each spring, the Emerson College Cheerleading team organizes a community support program. Normally, the Emerson College Cheerleaders occupy their time by backing the school’s athletic teams. This spring, however, they’re aiming to provide support of a different kind. The squad is organizing a “bra drive” over the course of the next few weeks aimed at gathering donated bras from the Emerson community to provide for homeless people in the area that are in need. The cheerleaders are partnering with Support the Girls, an organization that collects and distributes bras and feminine hygiene products to those without the means to purchase them individually. From now until April 30, each member of the team will be collecting donations. The Cheerleading team spearheads a community service project every spring. Last year, they sent care packages to military troops overseas. Lyndsay Tucker, a junior performing arts major and the team’s other co-captain, wanted to do something different in 2017. “Because we’re a team of cheerleaders and are currently made up of all girls—although men are allowed to try out—we decided that we should be supporting other women in the area,” Tucker said. Support the Girls is based in Maryland but is active worldwide, with branches in cities such as Boston. In addition to homeless shelters, they also donate to domestic violence centers, correctional facilities, and refugee centers. The organization supplies products for all people that menstruate or need bras, regardless of gender or identity, according to Dana Marlowe, the founder of Support the Girls. In the last 12 months, according to their website, they donated 85,000 bras and 400,000 menstrual hygiene products worldwide. While Support the Girls is dedicated to helping people around the world, the Emerson Cheerleaders make it a priority to give back to other Boston residents. For the team members, community service is seen as a core concept at the heart of their group.